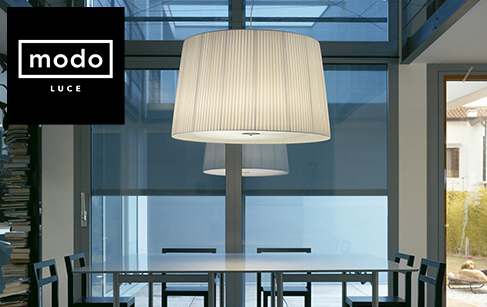 ModoLuce is a strong, Italian brand with 10 years’ experience and activity in the lighting and interiors industry. Recognised for its research of natural materials, processes & forms, the company is renowned for its creative freedom, resulting in the continuous strengthening of the company. With unprecedented lighting effects creating a strong decorative impact. Great attention to the design, focused on new and essential forms, perfect for giving life to design and light, different each time, for work, contract and living spaces.